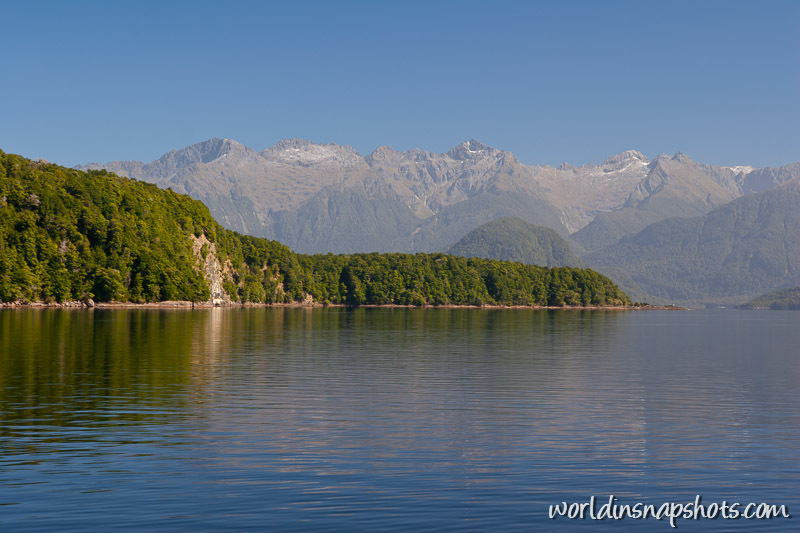 Lake Manapouri in South Island, New Zealand. It has four major arms, North, South, West and Hope, and the smaller indentations of Calm Bay and Shallow Bay. The lake contains some 34 islands, 22 of which are wooded.